Carl Franklin and Richard Morris talk to "The Fastmaster," Dr. Jason Fung about intermittent fasting (IF), extended fasting (EF), diabetes, insulin, metabolism, and doing the simplest thing that works. A word of warning - Dr. Fung uses salty language for emphasis. Obesity and diabetes are epidemic, we all agree. 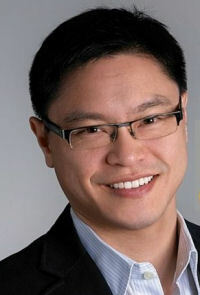 Dr. Fung focuses on insulin and insulin response rather than on carbs as being the only thing that raises insulin. In his clinic, he has hundreds of patients that are all controlling their insulin, and therefore their diabetes. Fasting is one of the most effective methods that they use. Dr. Jason FungDr. Jason Fung is a Toronto based nephrologist. He completed medical school and internal medicine at the University of Toronto before finishing his nephrology fellowship at the University of California, Los Angeles at the Cedars-Sinai hospital. He joined Scarborough General Hospital in 2001 where he continues to practice.